One thing to consider when buying a home in Mason City is: How much can you afford? We recommend you consult a mortgage professional to help you discover what price range fits your individual financial circumstances. And your realtor may need you to have your mortgage pre-approved to avoid spending their time and yours looking at houses that may be out of your reach. While you might be tempted to dive into the real estate listings right away, it will save you time and potential frustration if you have a talk with your lender first. That way you won't spend hundreds of hours searching, only to find you weren't able to qualify for the home you want. Your lender will perform a simple verbal pre-qualification in just a few minutes and follow with a full pre-qualification in a few days. Making sure you qualify for the amount of money you can afford will help you focus your search on the homes in your price range, saving you a lot of time and frustration. And it can give you an edge when competing with other offers on the home you want. For instance, if a seller is deciding between two offers -- yours, which has been qualified, and another unqualified offer -- they are much more likely to pick yours because they know you're ready and able to come to an agreement. In addition, pre-qualification gives you leverage when negotiating with a seller in a non-competitive atmosphere because it essentially makes you a cash buyer. 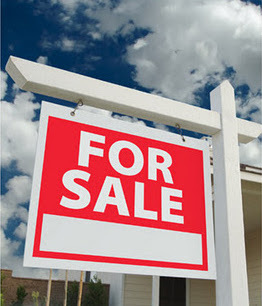 If you already own a home, you can rely on equity from the sale of that home. But if you're a first time homebuyer, you're likely limited to the money you've been able to save. While the days of having to put 20 percent down on a home are in the past, putting a large amount of money down will make it easier to qualify for a mortgage and to get the lowest interest rates available. With recent changes in rules and regulations for home mortgages, check with your Mortgage Broker to find out how much you should plan on putting down on your new home. Property -- The home you are planning to purchase will be appraised to determine the market value. The estimated value must be sufficient to secure the loan. Lenders will loan you no more than a certain percentage (usually 95%) of this value. In addition to your down payment, you will also pay for fees for the loan and closing costs. Payment will be required at the time of closing unless you qualify and choose to have these included in your financing. Closing Costs generally will range between 2 percent and 6 percent of the mortgage loan, depending on the loan and lender. You will be provided with a "Good Faith Estimate" of closing costs so you will know what to expect. "Points" -- one-time charges equal to one percent of your loan amount -- may be required by your lender at closing. If you have questions about real estate mortgages and financing, please call us at (641) 424-6705 or contact us with your real estate questions today!